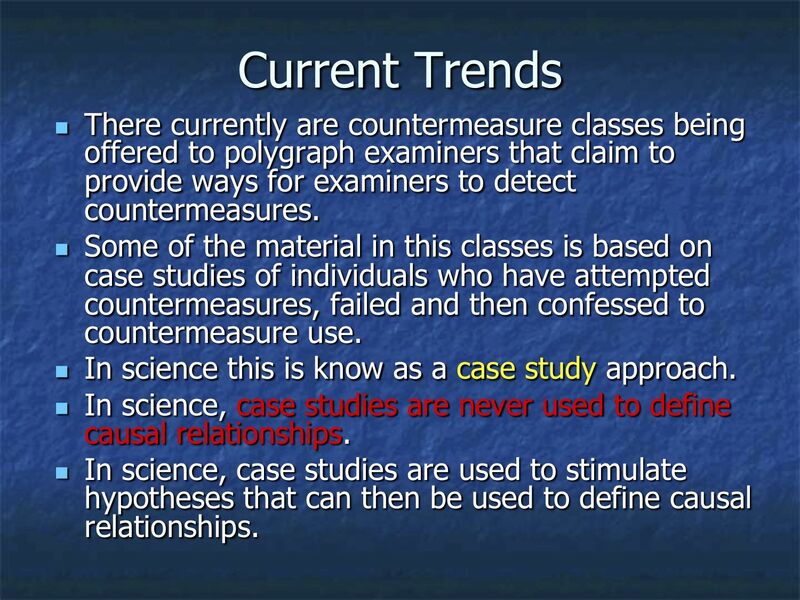 Publicly, polygraph operators claim that countermeasures are ineffective and that they can easily detect them. 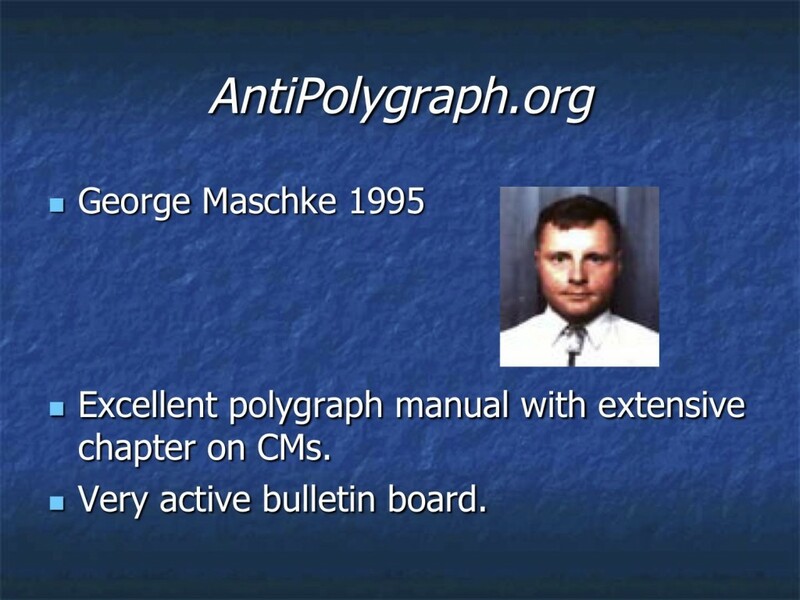 But documents provided to AntiPolygraph.org reveal that behind closed doors, they admit that countermeasures can indeed be effective and that they are difficult to detect. 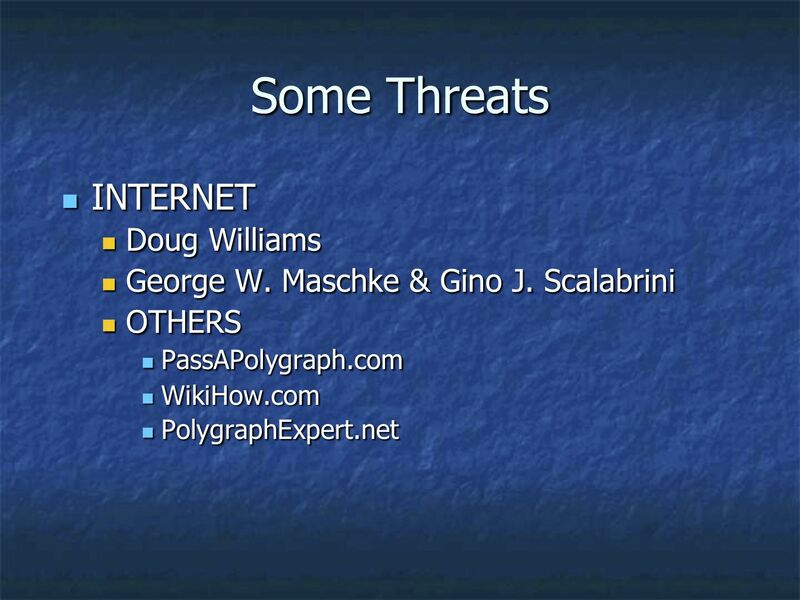 The most informative of these is by Mark D. Handler, who at the time of writing is the American Association of Police Polygraphists’ Research & Information Chairman. 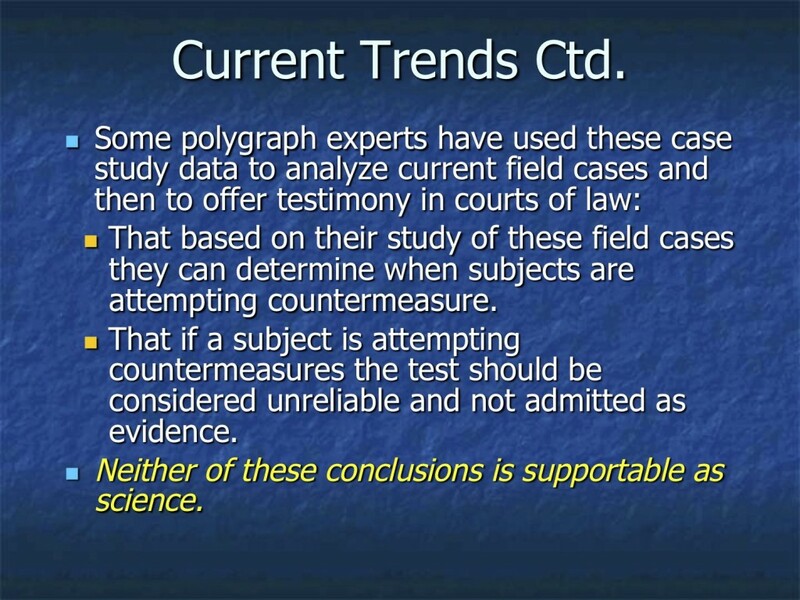 In 2009, Handler gave a PowerPoint presentation (55 mb PDF | 19 mb PPT) to the Kentucky Polygraph Association titled “Countermeasures: What every examiner should know.” According to the file’s metadata,1 it was created by Captain (then Lieutenant) Walt Goodson of the Texas Department of Public Safety, who at the time of writing is the American Polygraph Association’s Vice-President for law enforcement matters and has served as director of the Texas Department of Public Safety Law Enforcement Polygraph School. 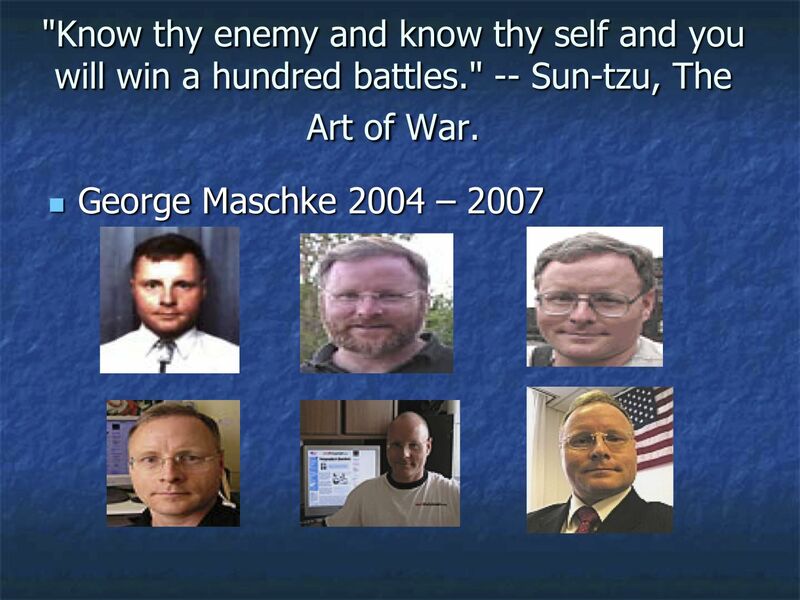 In addition to Goodson, Handler thanks Professor Charles R. Honts of Boise State University (who has conducted peer-reviewed research into polygraph countermeasures), Raymond Nelson of the Lafayette Instrument Company, who at the time of writing is also a director of the American Polygraph Association, and Charles E. Slupski, a former instructor at the Department of Defense Polygraph Institute who now runs the American International Institute of Polygraph and who, at the time of writing, is the American Polygraph Association’s President-Elect. 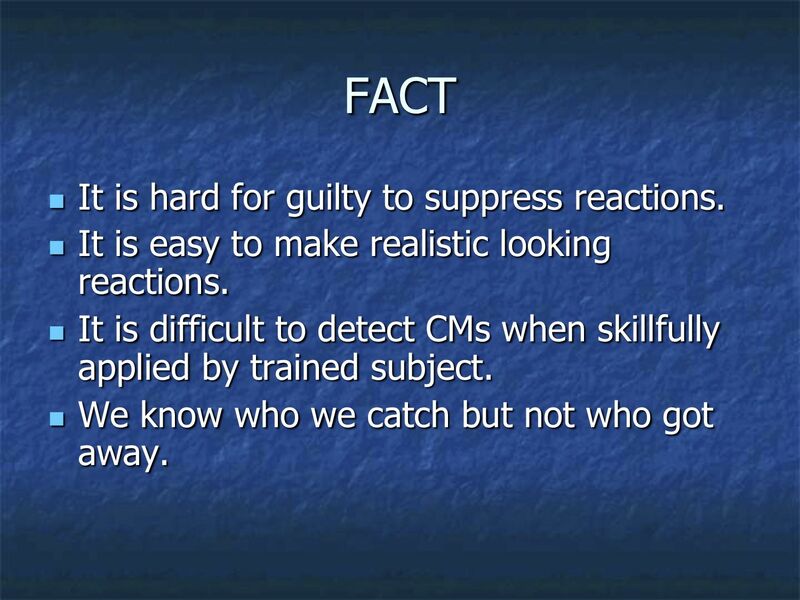 Paraphrasing Carl Sagan, Handler concludes, “Extraordinary claims of ability, require extraordinary evidence of performance.” Who can argue with that? Rovner, L.I. (1986). 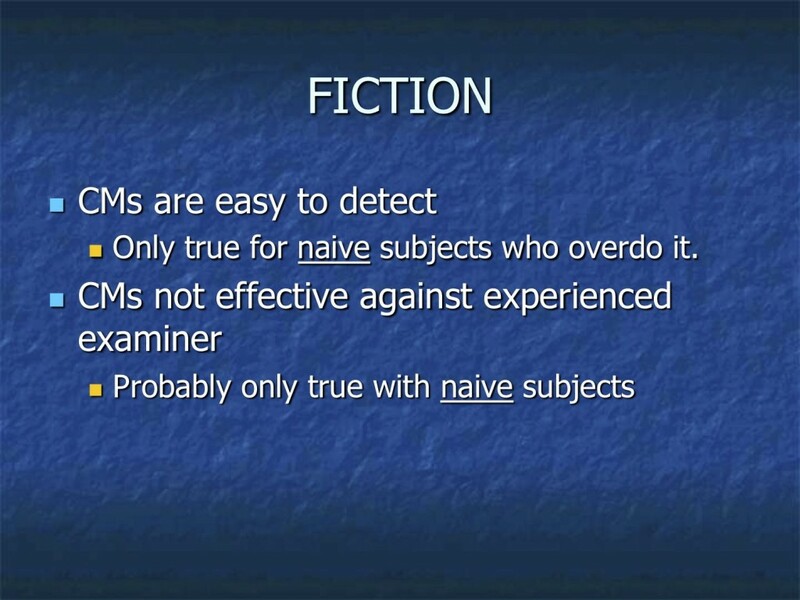 The accuracy of physiological detection of deception for subjects with prior knowledge. 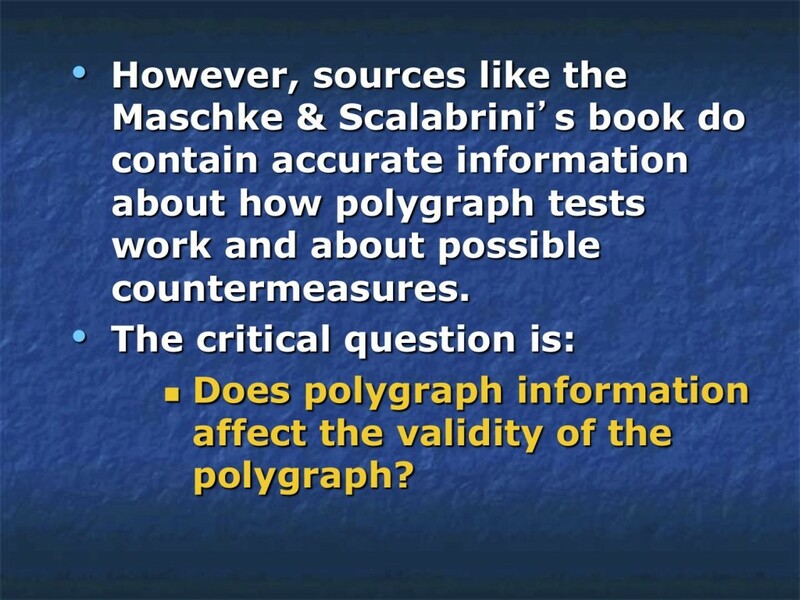 Polygraph, 15, 1-39. 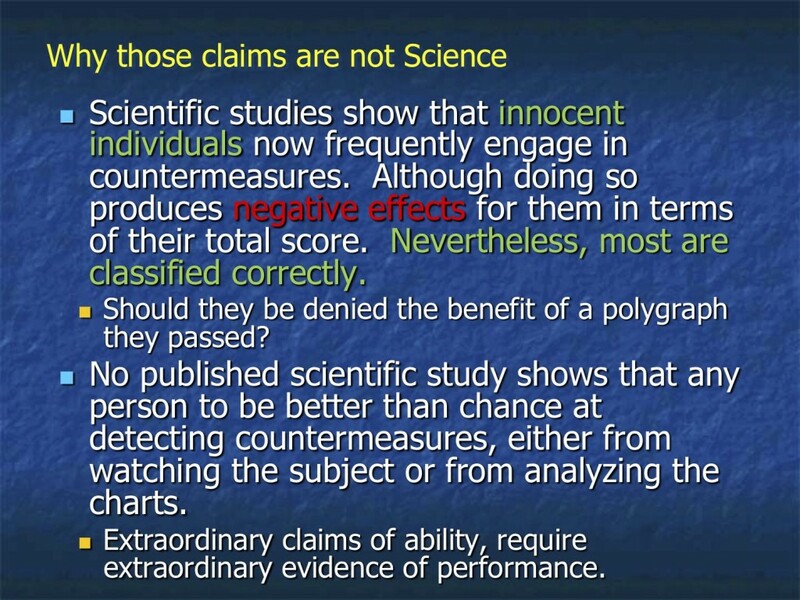 The first point in the slide, asserting that countermeasures used by innocent persons “produces negative effects for them in terms of their total score,” is evidently a reference to Honts, C.R., Amato, S.L, and Gordon, A.K., “Effects of Spontaneous Countermeasures Used Against the Comparison Question Test,” Polygraph, vol. 30, no. 1, 2001, pp. 1-9.